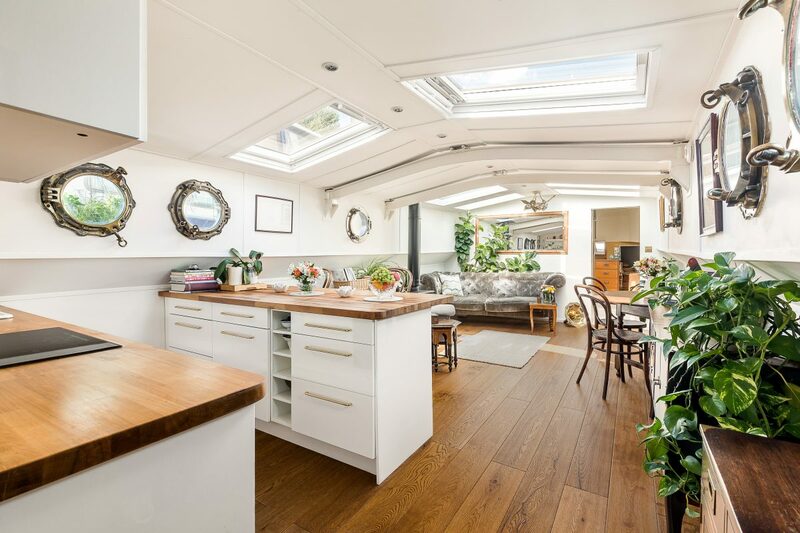 A stunning houseboat on an upmarket part of the Thames in London has been put on the market for £500,000 – and the buyer pays NO stamp duty. The Dutch barge, named ‘Anny’, boasts two bedrooms, bathroom, kitchen/dinner, reception room, dressing room and study. And outside, there is a large decking area perfect for al fresco entertaining. It is located on Imperial Wharf, a well-established residential waterfront neighbourhood in Fulham, South-West London. But period features such as a stove and wooden flooring give the impression it is more of a country cottage than a floating home in a vibrant part of the capital. 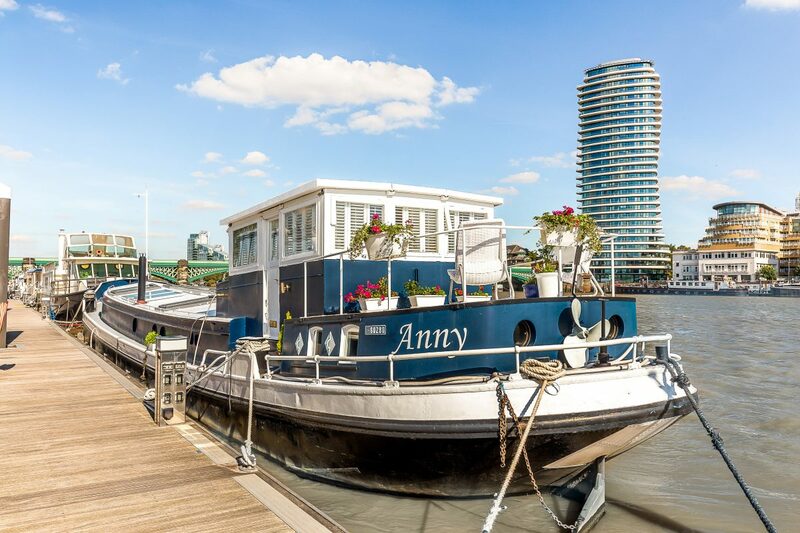 A two-bedroom apartment on the Thames would typically cost upwards of £800,000, but Anny has been put on the market with Knight Frank with a guide price of £500,000. Knight Frank has described the Dutch barge as having a “very gentle movement on the water”, adding it is narrow enough to travel on canals and waterways. The mooring is based on an annual renewal and whoever buys Anny is required to have a secondary address. 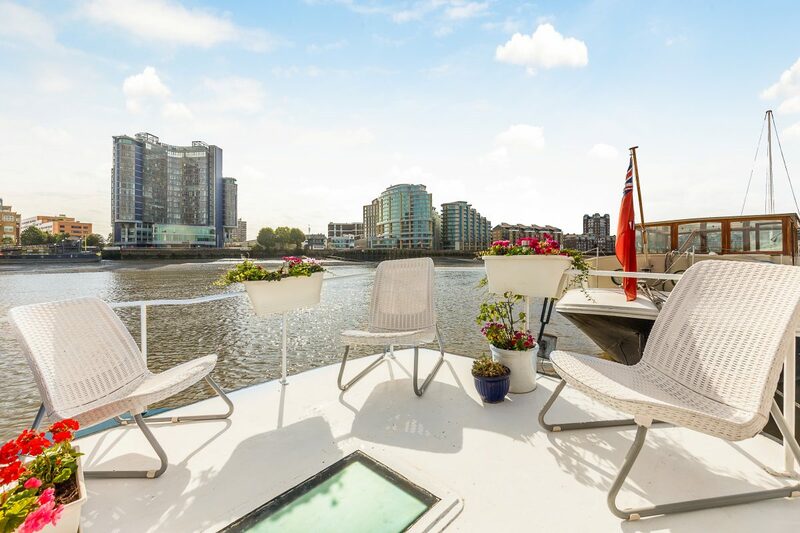 However, the boat is stamp duty exempt, saving the buyer £30,000, and there is no council tax paid in Imperial Wharf. Anny, which has more than 700sq/ft of interior floorspace, is located a short walk from the legendary King’s Road in Chelsea, famous for its shopping, restaurants and nightlife. But the owner becomes bored of the scenery, they can start Anny’s fully-functioning engine and sail to another part of the Thames. Daniel Cowling from the Knight Frank Battersea office, said: “This is one for those not constrained by the norm. “Anny offers a beautiful living space for buyers looking to acquire something a bit different to its predominantly new-build surroundings.